OK, I’ll be the first to admit that no one likes their culture being examined too closely – especially when it is being done by a pretty clueless outsider. Americans in particular, get a little peeved when foreigners comment on things that are going on within American society. But, if we are going to come to a better understanding of where and who we are, we have to take a look at what is going on around us. I, for one, find Filipino culture and psychology to be rather fascinating – examining the history and the people that made contemporary society what it is today. And for us foreigners, I think it is extremely important to look at some of the undercurrents affecting the culture so that we can better understand why Filipinos do the things they do. More importantly, it can help us to avoid some of the mistakes we inevitably make in relating to the interpersonal communication and expectations that occur in Filipino society. God knows I’ve made my share and will – most likely – continue to do so as I blunder along trying to figure out the who, what and why of how things work here. I also don’t want people to think that I am being critical of the culture or that I really even know about what I am talking about. (Don’t evah make that mistake!) Most of what follows was collated through printed research, anecdotal reference and my own experiences in country. Some of it might be right – some of it might be wrong. And if I am wrong – or if you have something to add – feel free to leave it in the comment section. All input is appreciated! So with out any further ado, lets take a look at amor propio and the role it takes in Filipino society. In a previous article, we looked at hiya (shame/embarrassment) and the role that it plays in Filipino culture, specifically that of social communication. In the blog entry, we are going to examine the concept of amor propio, an aspect that complements hiya and adds to the complicated intricacies of Filipino interpersonal relationships. Amor propio best translates as “self love.” Although coming from the Spanish, it is actually a concept that predated the Spanish occupation. On the surface, it can be seen as a sense of self worth and/or self respect. In western terms it can loosely related to the cultivation and maintenance of ego. Failing to provide proper hospitality, passionlessly accepting criticism, admitting wrong, or pointing out that someone has toilet paper on their shoe are all considered violations of amor propio – the first two a violation of self, and the latter being a violation of another persons. Building on what we talked about earlier, such transgressions of self-worth can contribute to hiya – a pronounced sense of shame or embarrassment. Amor propio has an effect on nearly every person living within the Philippines. Although it’s not actually discussed openly – younger Filipinos might not even know what it actually is – amor propio is still an integral part of the society and plays a big part in relationships. People will often cite the need to be non-confrontational in the Philippines when it comes to addressing issues with others. Most assume that this is just a symptom of the “passive” nature of the Filipino people, but it actually stems from the need to not offend another person’s sense of amor propio and bring on a sense of hiya/shame. When Filipinos typically have issues with each other, they will usually resort to an intermediary to mediate the dispute. On a local level, the barnagay (local district) captain often steps into the role of mediator, communicating the grievances and assisting the parties in seeking some sort of resolution to the issue at hand. Note that even though most (if not all) the things he notes are actually true, it still resulted in him being attacked on all sides. This level of amor propio can even be seen in contemporary libel and slander laws in the Philippines, in which someone can be held civilly culpable for “defamation of character” even if the allegations are completely and objectively true! When dealing with people, it’s important to keep the concepts of amor propio and hiya in mind. Even if it’s a situation in which you are in the right and the other person is completely wrong, always try to give them a way out. Now, with all of this in mind, lets take a look at some of the effects that amor propio and hiya/shame have on the culture. Responsibility/Blame: Amor propio/hiya can get in the way of folks constructively taking responsibility for their actions. On a personal level, it can take the form of people not apologizing even if they were completely in the wrong or even a tendency to blame others for the offense. Pride is an aspect of amor propio, and an example of it in action is a woman refusing support from an ex-husband even though she might desperately need the money. Another, more simplistic example, can be see in someone not wanting to let another person know that they have toilet paper on their shoe – for fear of offending that person’s sense of amor propio and bringing on a sense of shame. Lying: Yes, outright lies. Filipinos are not overly fond of saying “no” and therefore a “yes” you received earlier in the day might not actually pan out. Frustrating? Yes, but simply a part of living here. If a house helper is caught stealing, they will likewise deny all culpability, not just to avoid prosecution but to avoid the shame that would accompany such an admission. Not to long ago, a friend of ours walked out to his truck only to find a few Filipinos trying to steal his battery. He chased them and was able to flag down a police officer which resulted in their instant apprehension. Brought back to the scene of the crime, the would-be battery nappers denied all responsibility for the crime with wide-eyed sincerity. Submission to Authority: This can be most clearly seen by the relationship with the family – specifically the expectations placed upon children by their parents. Abuses occur on this level, as parents know that they make demands without much fear of refusal as this would violate the son or daughters sense of amor propio. Overseas Filipino Workers are a good example of this, and while not all families will abuse the money come back to them, there have been cases of Filipinos or Filipinas working for years overseas and returning to the Republic only to find that all the money he or she has sent over has been frittered away. And with amor propio, there is little room for complaint as to do that would bring on a sense of shame (hiya) for questioning the will and needs of the family. Foreigners in relationships with Filipinas will often find that their partners are under a great deal or pressure to provide financial assistance to their families. Again, this is an issue of familial expectations and the violation to the partners sense of self esteem (amor propio) that results if those expectations are not met. Even extended family (uncles, cousins, etc.) will pressure the Filipino or Filipina partner, seeing their relationship with a “wealthy” foreigner as a means to provide economic assistance on demand. Lost Debts: You will hear it said that there is no such thing as a personal loan in the Philippines, especially when it comes to the family of your Philippine partner. Instead, “loans” are more accurately called “gifts,” as actually trying to collect on a debt to family or friends can bring on a violation of that person’s amor propio, thus creating shame/hiya. It is a part of the culture here to not confront a person on an owed debt for fear of embarrassing them. Again, keep in mind that Filipinos try not to be confrontational and will do just about everything in their power not to rock the boat – even when it comes to a much-needed repayment of a loan. Abuses occur here as some Filipinos figure that they won’t be asked for the money back. To a foreigner, it is simple dishonesty; to a Filipino, it is just generally par for course…. Narcissism(? ): I’m going out on a limb here, but there just might be some sort of relationship between amor propio and Filipino infatuation with taking selfies. A study by Time magazine actually noted that Makati (the financial hub of Manila) is the selfie capital of the world, and it doesn’t take a newcomer long to realize that Filipinos really like taking their own picture. Another study conducted back in 2006, noted that Filipino men are twice as likely to think they are sexually attractive than other Asian countries that were involved in the study. Coincidence or not, there might be something to the cultivation of ego and self love, narcissism, and the role of amor propio in the Republic of the Philippines. If a person (or persons) feel as though their ego has been slighted, there are a number of ways that they can respond. Sumpong can result, which causes the offended person to withdraw from the perceived offenders and isolate his or herself away while going through a cooling off period. Tampo can also occur, in which the offended displays their anger through extended “silent treatments” and sulkiness. These two concepts – tampo being a more extreme form of sumpong – are distinctly Filipino and can also be seen across most of southeast Asia. Again, hiya/shame and the need to avoid direct confrontation are the wellsprings of these two social states. Other, non-violent ways of expressing disdain because of perceived case of violated amor propio also exist. These can take the form of feuding property owners denying road access or cutting water or electric lines. Taken to a more extreme level, violations of amor propio and hiya can become quite violent – and sometimes deadly. Murder, assault, and arson are not uncommon responses to violations of amor propio that are perceived as egregious. Taking it to the national level, collective amor propio can be a very real problem , getting in the way of addressing the very real issues that plague the advancement of the Filipino people, namely that of lagging infrastructure (roads, internet, electrical supply, etc. ), local and regional political corruption, difficulties in foreign corporate investiture, and the like. Understanding the concepts of amor propio and hiya can provide some insight into how Filipinos think and communicate. Most of us are familiar with tampo, but it helps to know where those feelings and behavior spring from. And as a foreigner, don’t think that you are being singled out – these things affect just about every person living in the Philippines. So, no – you’re not alone, and you’re not going crazy. Thanks Ned for the insight. I thought I was going crazy there for a while. There is something very similar to this in South Korea. As a construction manager I had to overcome this hurdle and a man once helped me on my way. He said, when you have a sore subject with someone like lies or laziness make sure when you address it with someone always do it alone in a closed door room and talk to them in a manner where they leave that room with the same dignity they came in with. It takes a lot of tact to do this, but it was a great success. It is very difficult to do when it comes from in-law family members. You need to give them that dignity. However small or large the problem may be. I have to admit I have made that mistake several times during my stays there in PI. It also makes it a not so attractive a place for me to retire. It is a lot to think about and definitely something you need to deeply consider before moving there. I think you are correct in all your thoughts on this. Great job Ned and thanks again. Thanks for that, Earl, and I will incorporate that “leaving people with their dignity” aspect. It factors in with giving them a way out, but “dignity” more accurately reflects that. Thanks again! Ned, spot on again. A Pinoy Yes was absolutely correct. I find this consistently happening in encounters with family, retail, whatever. I ask my wife, “why can’t they just say they don’t know”. Now I understand.?. Ned your articles enlighten me and do help in my day to day here in the Philippines. In my 3rd month of stay, heading back to the US at the end of Feb. We will eventually retire here. Our house is finished, just getting the details worked out. I do find myself shaking my head in disbelief at what filipinos do everyday. But they make it, and that says a lot about them. Great writing. Again you have brought to light things I wish I had know when I traveled there 2009-2010. It also helps explain some of the actions I have seen within my current relationship, Thank you for your insight. Thanks, Steve. I think this part of the culture is very interesting. I am still trying to figure it out, so I am sure this article will update as time goes on. Ok, I will try this again…typing on my phone does not always work. I think it is both – a mix of acceptance and disapproval, depending on a variety of factors (socioeconomic status, previous history with foreigners, age gap issues, etc.). Foreigners will sometimes get looks but Filipinos are generally non-confrontational and won’t overtly say anything unlike folks would in the West. Good for you son and congratulations!! Thanks Ned for the Insight. Really appreciate it. Like Chris i have a uyab in the Visayas. I have been around filipinos here in Denmark for the last 7 years but still you manage to drop a lot of gold nuggets that make me understand the background a lot better … Many times if you ask a filipino “why is it like this” then the answer is ” ooh it just like that” … but adding you insights and background information many thing suddenly make more sense and many guesses get confirmed. I would like to make a small donation if it can make a difference for the kids. Hi Ned, I’ve finally got around to writing after many months of enjoying and appreciating your observations on life in the Philippines. Having travelled to SE Asia many times, although only once so far to the Philippines, I recognise many aspects of the face saving culture that you’ve described. I don’t need to go into the specifics as I don’t really have anything to add to the points that you made. However I would like to touch on the issue of national identity and how that manifests itself, in particular how there are many similarities between the Philippines and my own country Ireland which shares a colonial and religious history with your adopted country. As a result of those similarities, I can identify with many of the points you made about national pride. My own opinion about the sensitivity to negative comment of the Filipino people and their public representatives is that it essentially stems from a collective lack of self confidence. I’m a short guy and, although I consider myself to be reasonably well adjusted, I still take offence if people make assumptions about me or make fun of me because my height. Some people would call that having a chip on my shoulder but in reality it’s just a self defence mechanism to try to protect my own self image and self esteem. Why do I mention this ? Because, in a similar way, many countries, particularly those that have been colonised, go through a similar growing process that a child goes through except, in this case, they come out of the womb already fully burdened with ‘Mom and Dad issues’ so to speak. Countries that have been colonised tend to retain an innate national collective memory of the indignities that were inflicted and the low esteem in which their forebears were held . As a result, the country and its citizens grow up with a heightened sense of self-awareness and a sixth sense for anything which might be interpreted as a slight on the nation’s character or which might reinforce any negative preconceptions about the country. Even in the Ireland of today, as we approach the centenary of ‘The 1916 Rising’, there is still a collective uproar if ever someone from the UK says anything which might be deemed to be anything less than complimentary about our country. We also suffer from an insatiable need to be loved as a nation and, similar to the Philippines, we take great pride in being seen as a friendly people. To be fair we are actually a pretty friendly people but sometimes I think that the perception is considered much more important. Wow, thanks for that. I had some idea as the the effect of that long-term colonialism, but your observation gave a lot more insight into it. I am actually of Irish decent myself. And yeah – one has to understand where people have been in order to have some inkling of where they are now. There’s a line from some movie that goes, “Sometimes you think you are done with the past, but the past isn’t done with you.” Thanks! And it seems as if Conor McGregor is becoming the Irish version of Manny Pacquioa! Yes, McGregor is quite the entertainer these days…. although as a child of the sixties, I don’t think I’ll ever quite get my head around UFC…..I am a big fan of Pacquiao though……he’s an amazing fighter…..I just hope the Mayweather fight finally happens. Anyway, won’t hold you…….keep up the great work…..I love what you’re both doing for the local kids and I’m looking forward to hearing more of your adventures. Ned, I wanted to comment on something related to Brendan’s comments and my own observations (not of the Philippines). Most of the problems I see mentioned on forums and in videos regarding then PI are the same things that happen in Mexico and many other countries. These things aren’t indigenous to the PI. Also, as an American, I think most Americans have a VERY odd world view in comparison to the rest of the world. 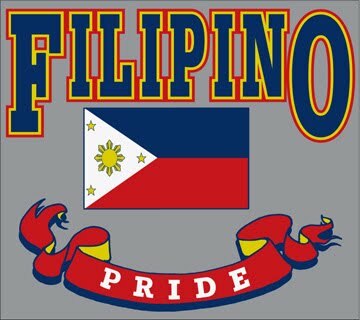 As Brendan mentioned, Irish/Mexican/Filipino pride is nothing new and very understandable. Everyone is the same ‘race’ and even though the govt is screwed up, ‘We’re all in it together’. In the US (especially in the last 30 years) there are no AMERICANS. “Me? I’m an Arab-American. By putting the ‘Arab’ in there I’m not held responsible for the problems in the US. It’s the fault of the AMERICANS.” Most people whose families haven’t been in the US for generations see the US as a bank account to withdraw from but do whatever you can to keep from making a deposit. Hence so many USD leaving the country every month. That money isn’t reinvested into the US economy. Those same people who send their dollars out of the US complain that there isn’t as much ‘assistance’ as their used to be. Thanks for the feedback, Febie. It’s much appreciated! The subtleties of the culture here are pretty interesting, and I enjoy trying to figure it out. I’m a long way from really understanding it, but the journey is most oftentimes the reward! Salamat! Ned. Thanks for the comment, Emory. Much appreciated!